This image was shot on film with a tripod in the middle of a freshly paved road in Washington state. The motion blur and rear view mirror were added digitally. Can you notice the flaw? 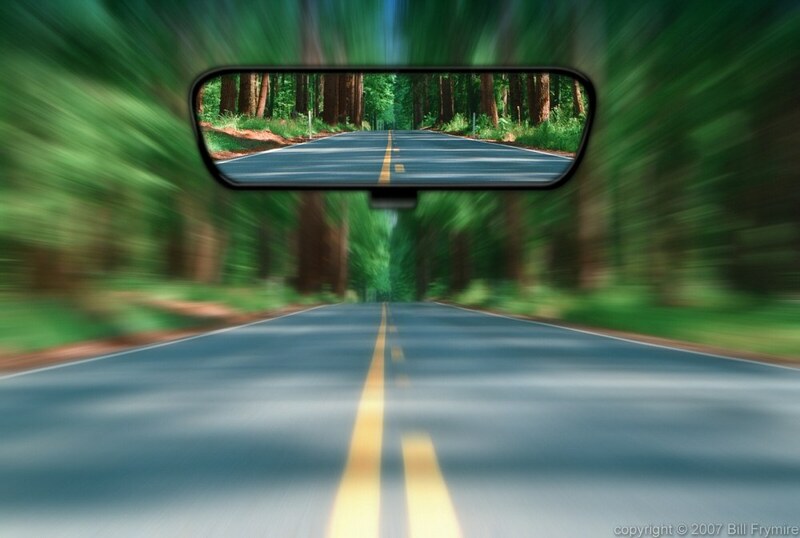 The flaw (or nit) that I see is that the road in the rear view mirror is the same view as the front. You can find this image in my gallery under scenics-travel>>travel>> rearview mirror. Copyright 2007 Bill Frymire. All Rights Reserved.